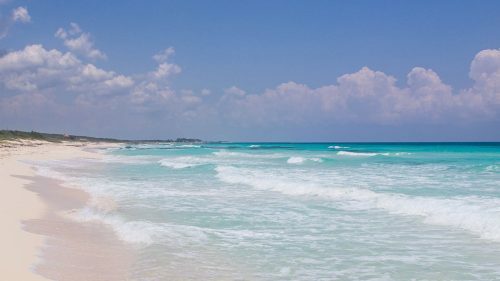 Travel Weekly writer Meagan Drillinger points out that Cozumel is not by any stretch one of Mexico’s hidden gems. In fact, it is one of the most heavily trafficked tourist spots in the country and one of the most popular cruise ports in the Caribbean, with dozens of ships docking there each week, bringing an estimated 3.3 million visitors annually. But for these travelers the routine is the same: disembark, stroll the main road that runs the coast, buy some jewelry, eat a taco, do a shot at Senor Frogs and/or Hooters, embark and sail on to the next warm-weather destination. But beyond the handful of blocks that make up the downtown cruise area is a massive island blanketed in lush jungle, peppered with drool-worthy beaches and packed with local culture. Want to find that Cozumel? Here is where the Cozumelenos go, according to Cozumelenos. For a local lunch, consider La Choza. Here they offer a local menu, where 75 pesos (about $4 American) gets you water, soup and a main course, of which there are five to seven options. You will have to ask for the local menu. Also in downtown is La Cozumelena, a small cafeteria that has been in business since 1962. One of the most beautiful restaurants is Casa Mission (www.missioncoz.com/), which was built on the wraparound porch of a gorgeous, historical hacienda. Though popular with visitors now because of its excellent traditional Mexican food, Casa Mission has been a local favorite for many years. For cheap eats, the locals like to visit small bars known as botaneros, which are essentially cantinas that give out free snacks with your beverages. Like tapas culture in Spain, as long as you keep drinking, the snacks will keep flowing. Consider La Yucatequita or Amigos. And if it’s tacos you seek, El Foco and Mister Taco serve delicious ones. For cochinita tacos or tortas, a Yucatan specialty, visit El Amigo Mario. This hole-in-the-wall taqueria serves only three things: cochinita tacos, cochinita tortas and beverages. Service is fast and friendly, and the food is cheap and delicious. It’s not difficult to find a drink in Cozumel, but if you want to go where the locals are going you’ll want to head to the beach. Beach bars and cantinas line the entire coastline, and the farther away from the downtown you go, the more local they become. But if you’re sticking to the downtown area, Viva Mexico is a nightclub and bar right on the Avenida Melgar. Money Bar (www.moneybarbeachclub.com/), near the FiestAmericana, is one of the local hot spots, with live music every night and a blend of locals and expats. If they don’t already know your name here, they will by the end of the night, and if you’re not up and dancing by closing then you’re doing something wrong. The fun here is fueled heavily by cheap drinks and beautiful ocean views. Tiki Tok Restaurant Bar is also on touristy Avenida Melgar but is a popular place with Cozumelenos, as well, especially if you’re interested in dancing salsa. Lastly, believe it or not, is Senor Frogs. And while you might gasp in horror, the truth is this is one of the only nightclubs on the island, so the locals don’t have a ton of options. You’ll find young Cozumelenos tearing it up with cruise ship passengers every night of the week there. Gorgeous beaches with crystal water and dreamy white sand line the east coast of Cozumel, but one that the locals prefer is Playa de San Martin. This beach boasts excellent waves and so is popular with young people who love to surf. Locals also like to frequent Chen Rio, a more family-oriented beach that has smaller tide pools perfect for kids to wade in. To get around Cozumel you will need to rent a car or to hire a taxi, as there is no public transportation.